Eligius was born around 588 near Limoges, France. 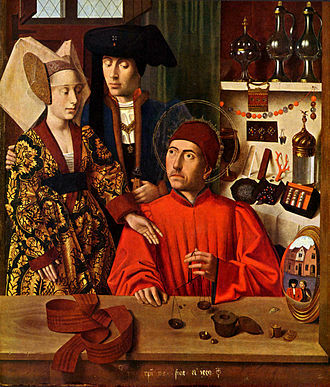 He was a blacksmith and goldworker and served both King Clotaire II and his successor Dagobert. Eligius became a priest and eventually the bishop of Noyon. He is the patron of metalworkers.